The Project Status Report (PSR) is a helpful and informative tool that can be used to view amounts earned on a contract. The report compares the amount earned to the amount funded in order to show how much funding remains on a contract, also referred to as contract backlog. The PSR gives you a good idea of what to expect on your current period invoice. We recommend running the PSR during your normal invoicing process. The report can be found under Projects → Project Status Report. Occasionally, you may come across a situation where the current amount on your PSR does not match your current period invoice. Read on to find out what the cause of this difference may be. By default, the PSR looks at transactions that are both posted and unposted. 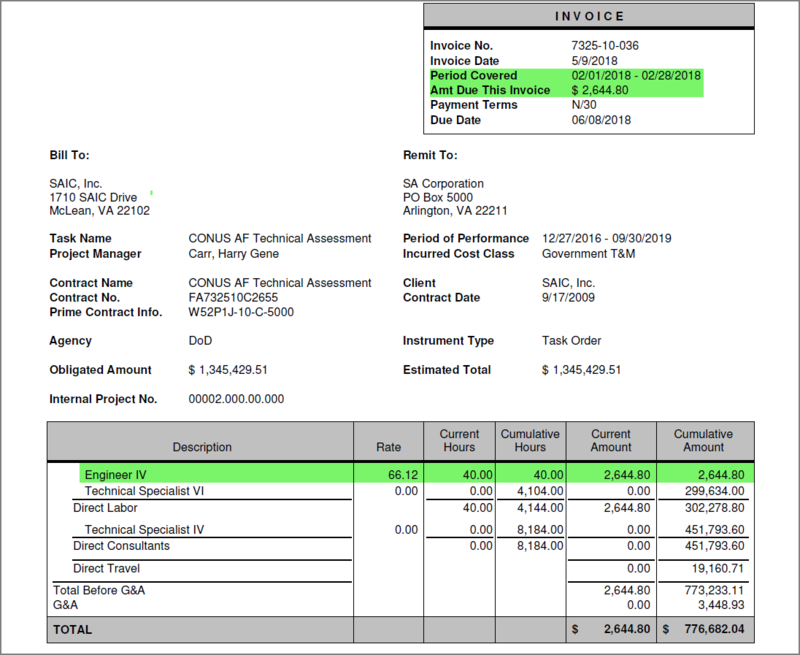 When calculating an invoice, the system only looks at transactions that are posted. If your PSR is not matching your invoice, first check to make sure all transactions through the current period have been posted (locked). After verifying that all previous and current period transactions are posted, try running your PSR and invoice again. 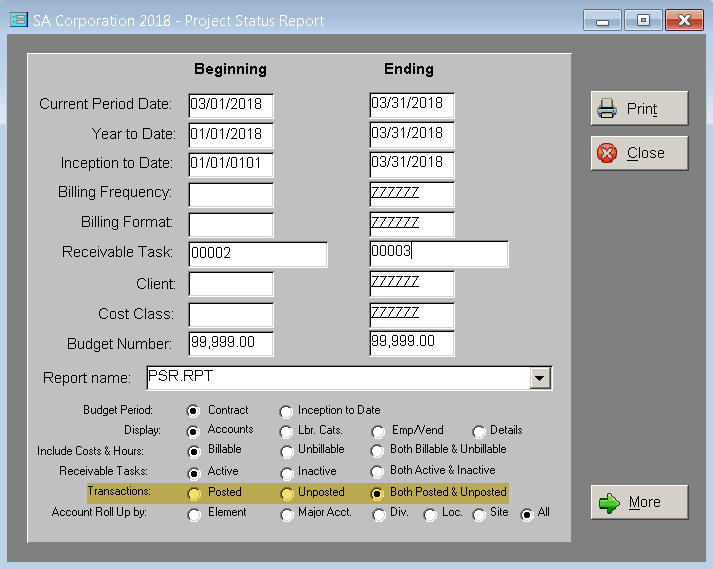 If the 2 reports still do not match, there is most likely a prior period adjustment being applied to your invoice that is not being picked up on the PSR. The PSR takes current period actual direct hours and costs in the general ledger and applies billing setup information to calculate Current Period, Current Year and Inception to Date values. The invoice calculation process also takes current period actual direct hours and costs in the general ledger and applies billing setup. 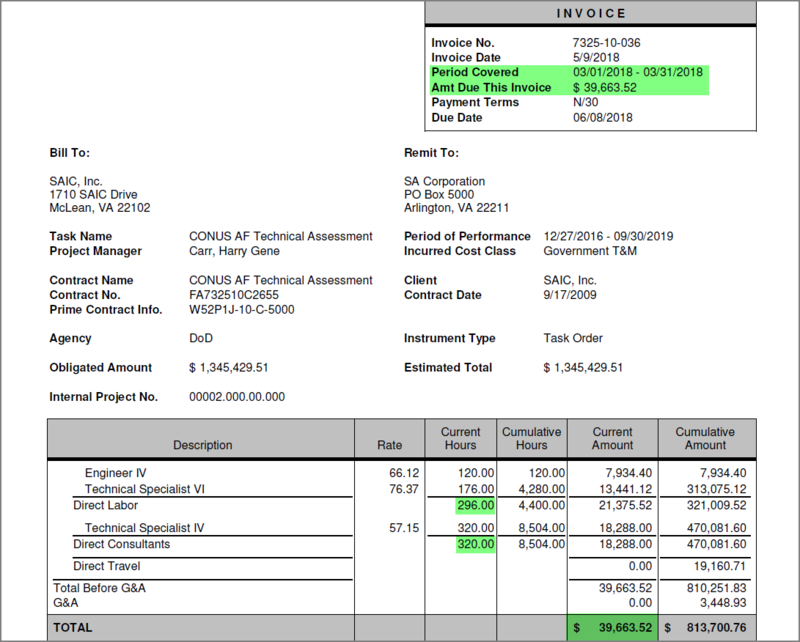 Next, the system applies year-to-date invoice history transactions to come up with the bottom line amount displayed on the invoice. If there was a change in prior period direct hours or costs, the effect of the change will be incorporated in the current period invoice. The effect will not be incorporated on the PSR since the PSR only looks at current period direct costs/hours applied to live billing setup. In the example below, we are calculating for the period 03/01/2018 – 03/31/2018. Our current amount earned per the PSR is $37,018.72 with current hours of 576. Our current amount due per the invoice is $39,663.52 with current hours of 616. To verify that the difference in the PSR and invoice is coming from a prior period adjustment, try running your invoice for the previous period. If all is well, your current period invoice should display $0 since the invoice has already been finalized. If you see an amount on your prior period invoice, there must be a change in direct hours or costs that impacts revenue for the prior period. This can be due to a change in labor hours, labor category, travel costs, billing setup, etc. Let’s run the invoice for prior period (02/01/2018 – 02/28/18) to see if there are any unbilled costs. 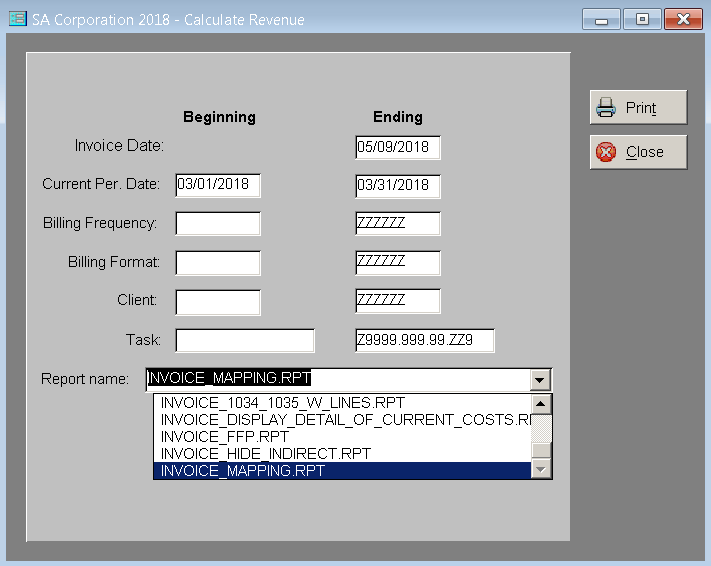 You can also run the template INVOICE_MAPPING.RPT for the current period to get transaction level detail of what is being incorporated in the invoice amount. If you see a transaction with a prior period date and current amount, this indicates that a prior period adjustment is being applied.